Running and jogging are probably quickest and most convenient ways to drop a few kilos and give your heart and lungs an extra health boost. You can run anywhere and at almost any time. It costs nothing and an hour twice a week can make a very big difference. Unless we’re talking about sprinting, a run won’t add bulky muscle like most gym workouts will- over time runners develop a slim, athletic profile. However, there is a downside. Running is also a very high impact form of exercise and if you go too far too fast it’s quite easy to end up with long-term injuries that can be very hard to get rid of. At particular risk are the knees, ankles, and other leg and foot joints. When I started running a few years ago I made a very common mistake. Instead of going to a specialist athletics shop and getting fitted with a pair of well-designed shoes I thought I’d give it a go in my everyday trainers. For a couple of weeks it went well and I really got to like the quick, intense workout that a good run provides. Before too long I was running further and more often. It was great until the ball joint in my right foot suddenly went crunch. These days I run three times a week in a good pair of shoes fitted by an expert. It took a while for my foot to recover from that silly, self-inflicted sprain but it’s amazing what a difference the right footwear makes. Don’t follow my bad example- get yourself into appropriate shoes right from the start. Unless you have a fairly high level of aerobic fitness to start with you’ll probably get out of breath fairly quickly. Don’t despair and don’t turn around and head for home. Beginner runners can jog til they feel the need to stop, walk their breathing returns to normal, then jog again and repeat the process. There’s no shame in it- everyone has to start somewhere- and you’ll probably be surprised how quickly your lung capacity improves. Remember that the point where you decide to turn back is only half way, so if you’re tired then you’ll be very tired by the time you get home. A good rule of thumb for a first run is to turn back after about 15 minutes. That way you’ll get a good half hour of exercise. If that doesn’t feel like enough, ramp it up a little next time. If approached properly running is a very effective way to increase fitness and boost weight loss efforts. It doesn’t take much to do it right, just a sensible attitude and a pair of decent purpose-designed shoes. Like all exercise programs it should be seen as a long-term health investment. Don’t rush into it. Pace yourself, stick with it, and you will be rewarded. Jess Spate is now a keen runner both on roads and in the hills. She is senior editor at Outdoor Equipment Online, a UK price comparison website that lists a wide range of walking shoes and other outdoor footwear, and also works for Appalachian Outdoors, a American retailer with a wide selection of fitness clothing. 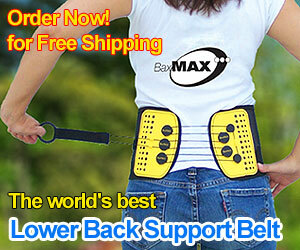 Be sure to visit Better Health Innovations for all your fitness equipment needs!